In the 1970’s Wegner designed a range of elegant modernist furniture using supporting frames of flat steel for Johannes Hansen. 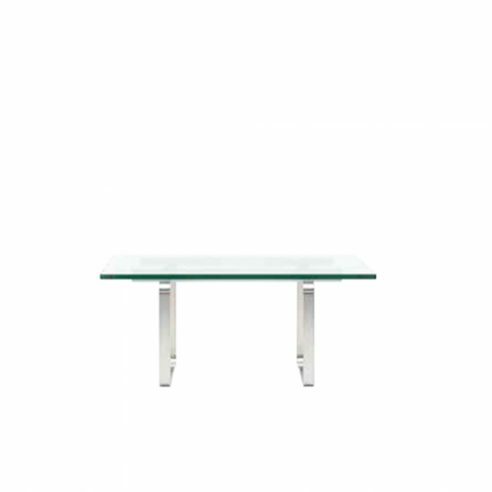 The series was produced in relatively few numbers and was re-introduced by Carl Hansen & Son in 2008 on the occasion of the companies 100th anniversary including this table with 19 mm tempered glass top and with matching frame in stainless steel – model CH108. In designing the sofa group and occasional tables for Johannes Hansen, Wegner demonstrated his ability to work in flat steel sections.